There are many reasons to use games for learning… and also times when you’d be better off picking a different interactive learning experience. The best way to figure out whether or not to create a learning game, and to get the project started, is to ask the right questions. Karl Kapp has two short but sweet blog posts with questions you should ask before creating a learning game. Read part 1 here and part 2 here. When mapping out a learning game design project, you need to determine the instructional objectives… and how the gameplay will serve those objectives. You’ll identify demonstrable tasks that can be completed through the game, and you’ll also decide whether or not a game can mimic the context where learners really need to apply the skills. I could go on, but Karl covers all of these in his posts. Once you’ve decided that yes, you want to use a learning game, you have to decide whether it will be the primary learning activity or a reinforcement tool. This decision will influence the game’s content, design, and your internal promotion strategy. Yes… you should promote your game internally to get people to play. Games are most useful as the primary learning method when the content is highly immersive. Context is vital to learning, and a game that mimics the situation where learners will have to recall information or complete a task will aid in retention and performance. 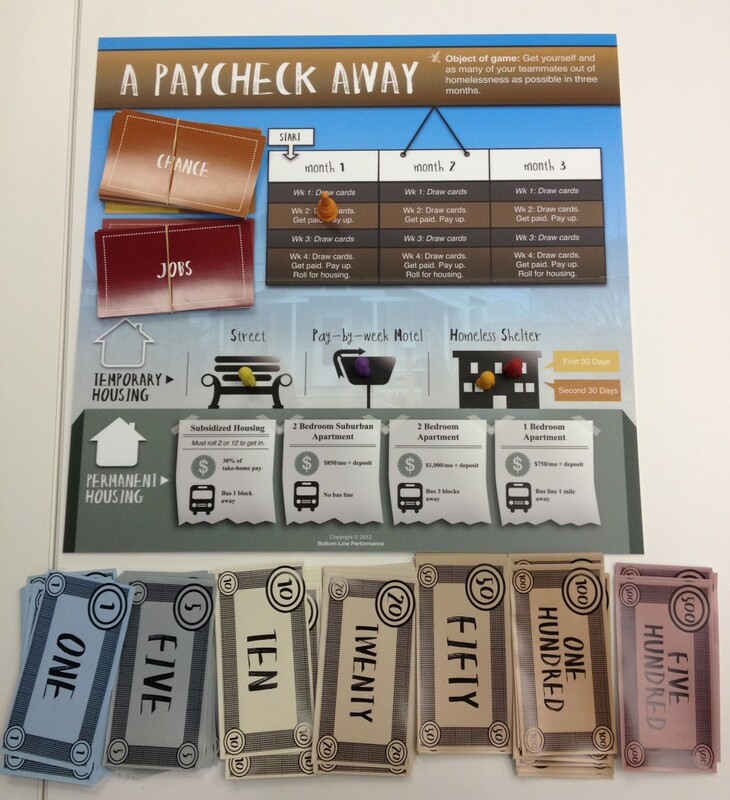 We took this approach when creating A Paycheck Away, a board game that simulates the problem of systemic homelessness. Players play as a profile of a real homeless family and must make realistic decisions to try and get out of homelessness. While the game is a tabletop board game, the situations are realistic and spark real emotions. An issue like homelessness simply must be taught in an immersive experience like this that gives context to the problem. A quiz-style game teaching facts about homelessness simply wouldn’t cut it. Conversely, a gameplay experience that is closely linked to how people learn best can also be useful as the primary learning method. Our Knowledge Guru® game engine is designed to utilized the principles of spaced learning, immediate feedback, and repetition to maximize retention of new information. When players play the quiz-style game as a primary learning method, they learn the information by getting questions wrong, reading the feedback explaining their misstep, and trying again. 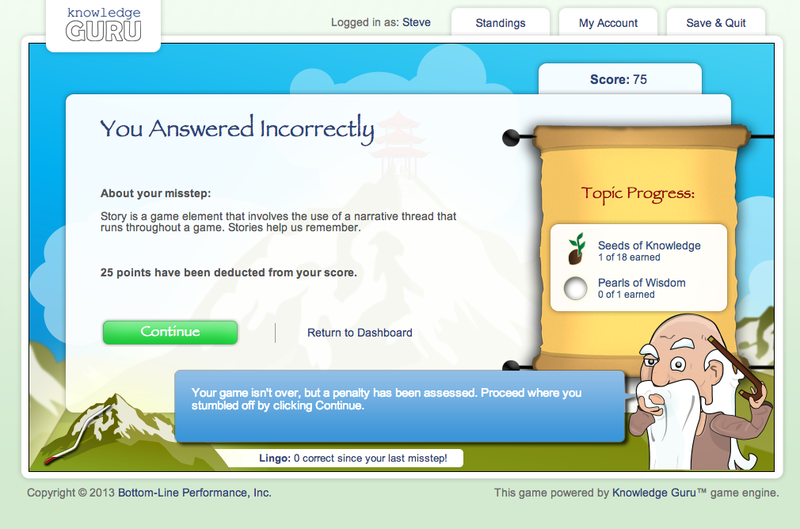 Games are also great for reinforcing the learning that happens through an eLearning course or instructor-led session. After people complete the regular training, you can simply send them the link to play a game or invite them to a face-to-face session. The key with using a game for reinforcement is to promote it well and remind players consistently that they should come back and play. 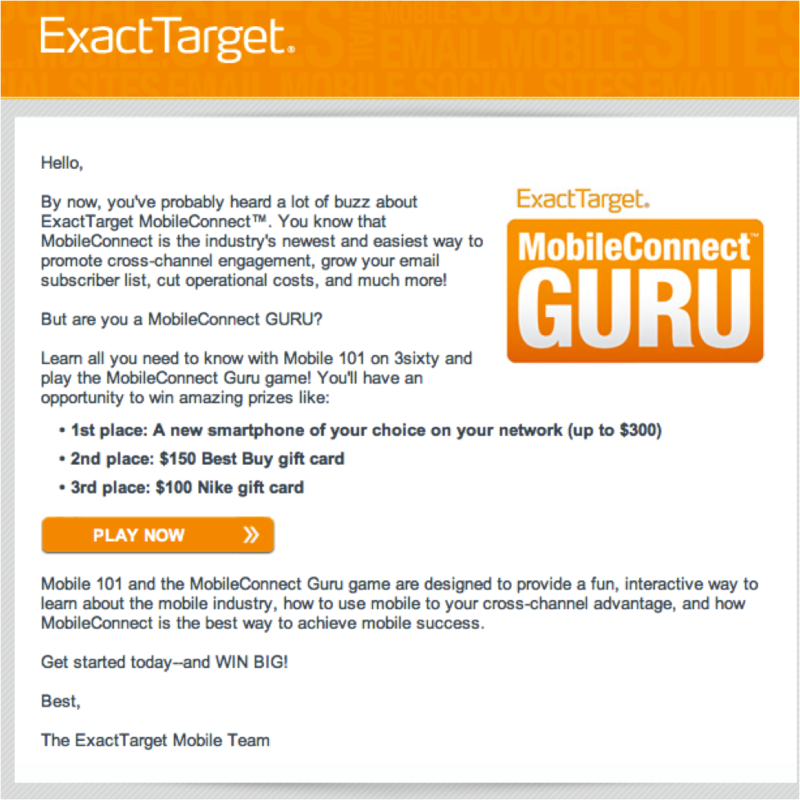 ExactTarget, a digital marketing company, used Knowledge Guru to help employees prepare for a product launch. Since they are a marketing company, they did exceptionally well at promoting the game internally, and saw a high rate of participation as a result. Email messages that include a link to play the game are also very effective. “Fun” can be pretty intangible, so business types sometimes shy away from citing it as a goal for training. We’ve seen that the “fun” factor of games is a big motivator for getting players to come back and reinforce skills and knowledge. Even giving a basic game eye-catching graphics, a narrative, and a sense of purpose goes a long way. 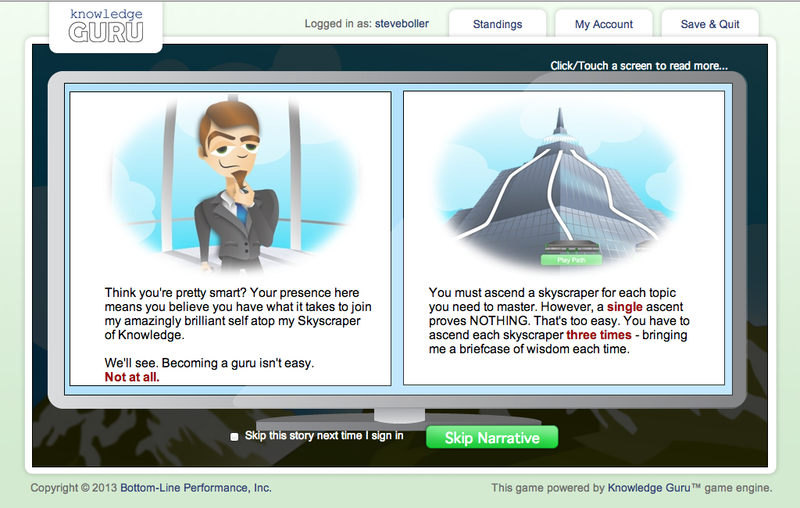 We use a pre-game narrative to set the stage for Knowledge Guru games. The first page is pictured below with our soon-to-be released Business Theme Package. Whether you decide to use games as the primary learning method or as reinforcement, asking the right questions up-front and designing it with “fun” in mind will help set you up for success.